The scenic lakeside mountain village of June Lake, known fondly as the ‘Switzerland of California’, is a destination of spectacular glacial lakes, high jagged mountain peaks, a perfect blend of solitude and scenery. A hidden jewel in the Eastern Sierras, June Lake promises outdoor enthusiasts the adventure of a life-time! But where to after a long day of exploring our exhilarating great outdoors? 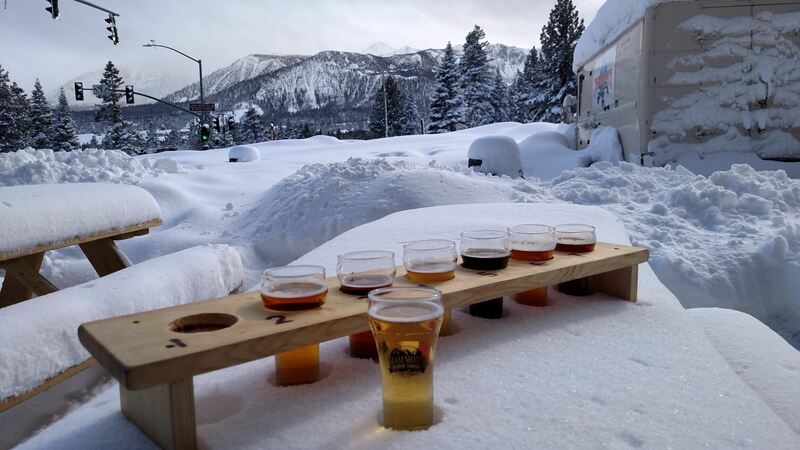 Thanks to an abundant snowfall, June Lake has access to the freshest mountain water, the main ingredient for a tasty craft beer and a treasure to our local breweries! The perfect spot to kick back with great company, share stories and sample the finest handcrafted local creations is at one of our local breweries. A great selection of ales, porters and stouts brewed to perfection are served at June Lake’s local gem June Lake Brewery! Introducing new brews and serving hearty Hawaiian soul food from an outdoor truck, June Lake Brewery is a recently new addition to June Lake Village, a local non-touristy brewery with a great vibe and thirst-quenching beers created by Sarah and Justin Walsh, San Diego native brewers who have breathed new life into the taste of June Lake. A scenic 20-minute drive along Highway 395 and you arrive at Mammoth Brewing Company in the majestic Mammoth Lakes, the highest brewery in California perfecting the art of award winning beers since 1995. Sample their finest in the tasting room, grab a souvenir from the store or unwind in the beer garden with live music throughout the summer. Mammoth’s newest nano-brewery, Black Doubt Brewing Company are busy creating as many unique hand brewed beers as they can fit into the 1200-sq ft space. Get behind the scenes with the brewmaster, bring along your own food and settle into the tasting room for a treat. For the ultimate beer adventure, reserve a seat with our local guide Eastern Sierra Brewery Tours for fun tours of our local gems. As the aspen trees reflect off the lake with a fiery orange glow and the mountains turn to gold, June Lake comes alive. Along the tree lined shores of Gull Lake, a celebration of live music, fantastic food and awesome beer awaits the thirsty. Free spirits sway to the music on the lake shores and fierce competitors flex their muscles, testing their strength and endurance in the Stein Holding Contest. This year celebrates the 4 th annual gathering of award-winning craft brewers at the June Lake Autumn Beer Festival, a festival not to be missed! Another impressive festival, one of the best of its kind in the US, is Mammoth Festival of Beers and Bluesapalooza. A diverse craft beer line-up featuring over 100 breweries from California to Maine and attracts thousands of visitors to Mammoth Lakes every August. 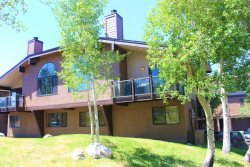 We are June Lake’s vacation rental specialists with the perfect June Lake vacation rental for you in our colorful community. Our vacation homes, cabins and condos are perfectly situated for you to experience the best of June Lake! Find your place with us, it’s a happy, hoppy place to be!